Bruce Feldman has announced that he will join Sports Illustrated to cover college football. Feldman joined Fox Sports in 2014 to join its college football team and write articles for its website. This was after stints at CBSSports.com and ESPN. Of course, one of his bigger claims to fame was his suspension from ESPN for writing a book with Mike Leach which included critical comments about then-college football analyst Craig James. Instead of rehashing the entire history of #FreeBruce, you can read our 2011 article here. Feldman has gone on to cover college football as mentioned for CBS Sports and for Fox and this is a good pickup for Sports Illustrated. He’ll be free to write articles for an organization that appreciates the written word. As Feldman mentioned in his tweet, he’ll be starting with Sports Illustrated this week so he’ll be getting right back on the horse to write articles just in time for the 2017 season. 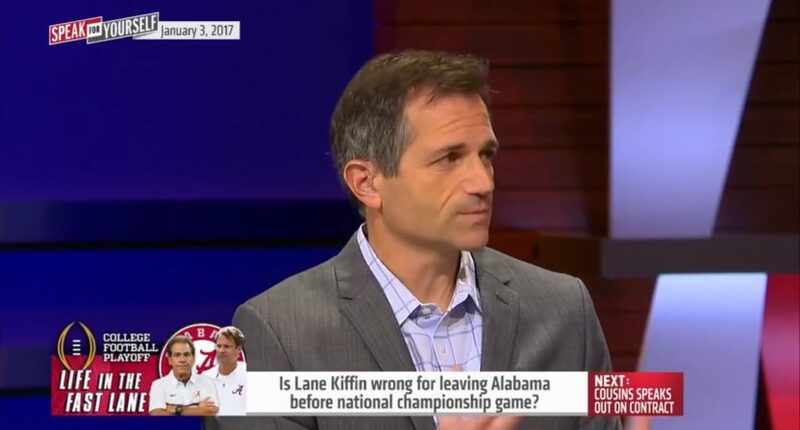 But he’s also not leaving Fox Sports, continuing to appear on TV on its college football coverage. Judging from the reaction to his tweet that he’s joining SI, the move is quite popular and could bring some traffic to SI’s college football pages.